Things to listen to whilst transiting: I’m greatly enjoying season two of “Master of None,” which I think is vastly superior to the first season. Two podcasts about the show: Pop Culture Happy Hour offers their take on the new episodes (they rave about them) while Fresh Air has a new interview with Aziz Ansari. Reminder: the five-month closure of 6th Street in DTLA for Regional Connector work begins Saturday. More here. Dept. of Snowy Roads: Pretty impressive that it’s June 2 and there’s still no projected opening date for Tioga Road across the Yosemite high country as plowing continues. I’ve pushed my yearly backcountry/non-internet time to September. And you? 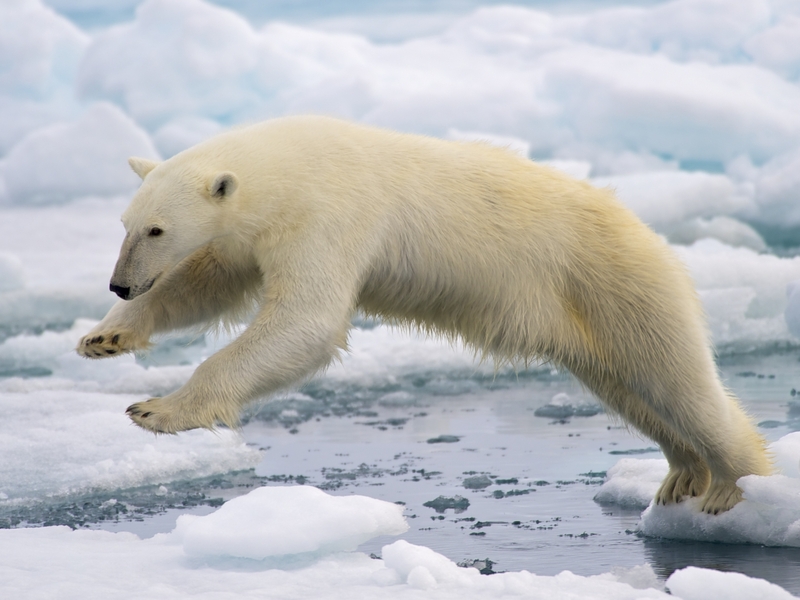 Polar bears depend on sea ice to hunt and sea ice depends on cooler Arctic climates, the reason some scientists fear for the future of the polar bear due to climate change. •The NYT news story notes that Trump has said he will stick with the withdrawal process that could take nearly four years. That could put the decision in the hands of voters who will decide the 2020 presidential election. •The NYT sidebar provides a good look at where the stats in Trump’s speech originated. Not everyone — shocker! — believes all the numbers and studies were fairly portrayed. •In the New Yorker, Elizabeth Kolbert — perhaps America’s leading journalist on climate change — points out that meeting the Paris accords depends on cleaning up power plants and improving vehicle gas mileage: two programs already under fire well before Thursday’s announcement. •The WSJ editorial applauds the move, arguing that a stronger American economy is better positioned to build and market the technologies that can reduce greenhouse gases (GHGs). •And EPA Chief Scott Pruitt made much the same argument in his remarks on Thursday, saying America was already making progress reducing its GHGs before the Paris agreement came about in 2015. There’s plenty of political commentary on the Internet; I need not add to that. But I will repeat what I’ve written in the past: if climate change is an issue you care about, then you have the power to do something about it. Namely, try replacing a few driving trips with trips via walking or biking or taking transit. More about that here. 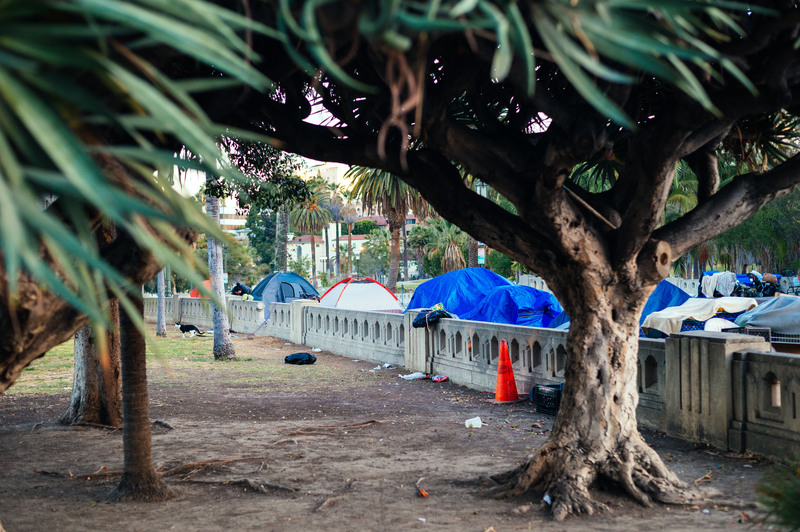 Tents on Wilshire Boulevard sidewalk outside MacArthur Park in the Westlake part of Los Angeles. Photo courtesy Steve Hymon. This has been extensively reported this week and the numbers can’t really surprise anyone, including our region’s transit riders. In response, Metro is working with the L.A. County Department of Health Services and the group People Assisting the Homeless to engage homeless individuals on the Metro system to try to steer them to the appropriate services. More about that soon. 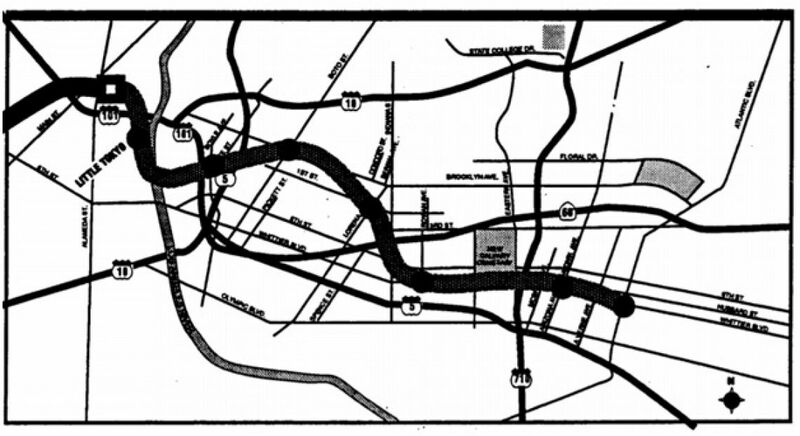 A route for the Red Line subway floated in a 1990s-era environmental study. A 1998 ballot measure that eliminated existing sales tax fuding for subway building put the nail in the coffin of extending the Red Line to the Eastside. Credit: Metro. Scott Frazier has been the rare local writer actually interested in the planning of the Eastside Gold Line Extension, a project which proposes to extend the light rail line eventually to both South El Monte and Whittier. Scott thinks that effort won’t provide enough ridership bang for the buck and has a different idea: extend the Gold Line to South El Monte along the 60, build a new east-west light rail line that basically follows the route recommended (and never built) for the Red Line in the 1990s and also another north-south rail line along Atlantic Boulevard. Scott argues those three lines would make transit faster and more accessible to more people. See the reader comments, too, which include this rebuttal: this could be a $12 billion answer to a $6 billion project. I do think what Scott proposes is unlikely, but I really like this post because it’s refreshing to see someone give a thoughtful kick to the tires of a project before things are set in stone. Let’s remember why the 1998 ballot measure was put on the ballot. To eliminate the possibility of a Subway on Wilshire west of Koreatown. But since the NIMBYs could not be so obvious, the entire county was included. Imagine the city we would have today if that had never been in effect.